To calculate the materials you'll need, enter your measurements in the calculator below. Our calculator will round up to the nearest foot. After, let ImproveNet help you find a local roofer. Get accurate roofing quotes. It's free! Area is defined as the expanse or measurement of a given surface, and there are a few methods for measuring your roof’s area. 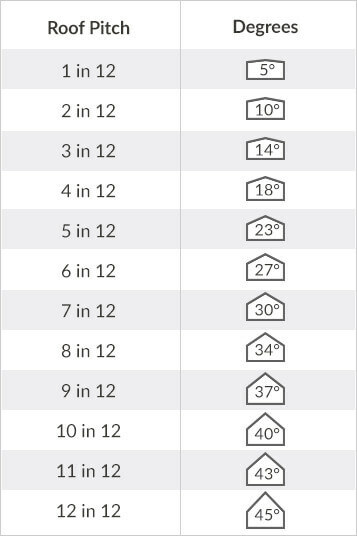 Our roof calculator uses “base length” and “base width” to find the estimated area. The base width is the distance from one corner of your roof to the other, at its base, on the short side of your house. The base length is simply the distance from the second corner to the third corner, on the house’s long side. Our calculator rounds up to the nearest foot, so you can do the same when measuring. 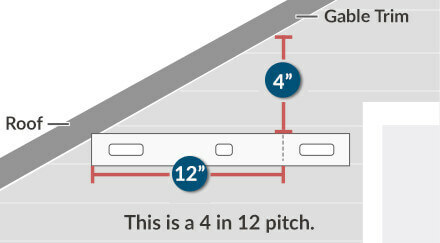 See the image below for a visual guide on how to measure your roof’s base length and width. To accurately calculate the area of your roof, you must first determine its slope, or pitch. A roof's pitch is determined by how much it rises vertically for every foot it runs horizontally. Thus, a moderate “6 in 12” roof pitch means that the roof rises 6 inches vertically for every 12 horizontal inches it runs. 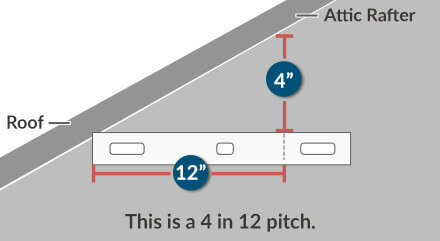 A “12 in 12” pitch is a steep, 45-degree angle roof. See the image below for more explanation on rise, run and pitch. 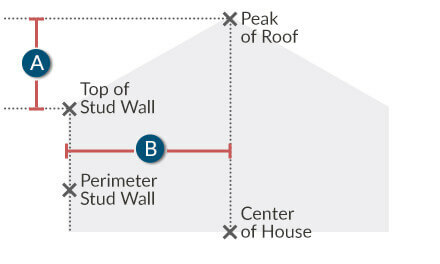 Rise: the distance from the top of a stud wall to the peak of the roof. Run: the distance from the outside edge of a perimeter stud wall to the center of the house; the run always remains constant at 12 inches. Use one of these three methods below to calculate your roof's pitch. You'll need a level and a tape measure or ruler. Mark a spot on the level, 12 inches from one end. 1. On a ladder beside the roof, place the level a foot or so up the roof, hold it level, and measure from the 12-inch mark on the level’s bottom, straight down to the roof. If this distance measures 4 inches, you have a 4 in 12 pitch; 8 inches and you have an 8 in 12 pitch. 2. On a ladder at the gable end of your house, place the level against the gable trim, flat against the side of the house. Now measure from the 12-inch mark of the level up to the bottom edge of the gable trim. This distance is the roof’s rise. 3. In the attic, place the level against a rafter with the 12-inch mark on the bottom of the rafter. Measure from the end of the level up to the bottom edge of the rafter. That is the roof's rise. There are two main categories of roofing: sloped and flat. A flat roof has a slope of 2 in 12 or less. The run always remains constant at 12 inches. 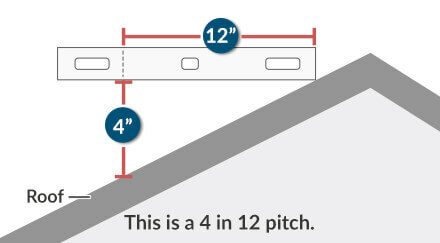 A low slope roof is anywhere from 2 in 12 to 4 in 12. Conventional slope roof range between 4 in 12 and 8 in 12. Anything more than 9 in 12 is considered steep. Steeper-sloped roofs are considered more aesthetically pleasing and last longer. These benefits do not come cheaply though. A 12 in 12 roof can cost up to 50% more than a 4 in 12 roof. This is because a steep-sloped roof requires a taller chimney and more lumber for framing. However, the end result may be well worth it as your roofing material is estimated to last up to 50% longer and will require less maintenance. Roof styles or types are usually predesigned by the builder of your home. They determine what kind of materials you can have on the roof, due to the slope. The first option is a flat roof. This style is just like a long board across the top of your home. A gabled roof looks like two sides of a triangle. A shed roof is slanted down one way, either towards the left or right. Gambrel roofs resemble barn roofs. Finally, mansard roofs have a flat top with sides that lip over the top a little and hang over the home. If your roof is flat or has no more than a 3 in 12 pitch, you can calculate its total square footage by simply multiplying the length by the width. Measure your house at ground level, then add in the roof’s overhang for greater accuracy. As an example, if your overhang is 12 inches, you’ll add 2 feet to the overall length and 2 feet to the overall width of the house. This nominal square footage amount is then multiplied by a factor associated with the roof’s pitch. Your roof is without a doubt one of the most important elements of your home. If it's distressed, repairs are necessary to prevent extensive and expensive damage. As such, it pays to know a few tips on roof measurements and pitch. If your roof is in desperate need of repair, we can connect you with up to four roofing professionals near you!